Advanced product for demanding - it's not the powdered sugar. Reach for the supplement if you want to feel the incredible energy and pump in training, which will be the culmination of athletic and muscular silhouette! 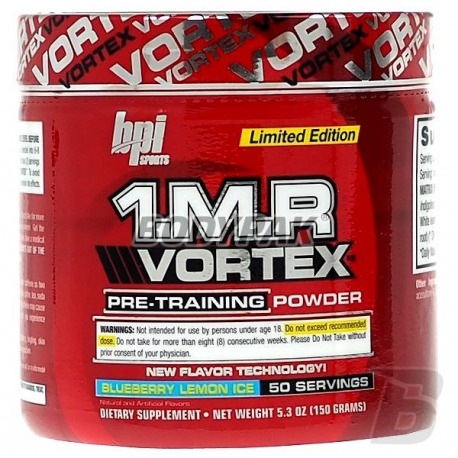 BPI 1.M.R Vortex is the newest option for demanding athletes who do not feel the actions of ordinary products. Each professional will be able to appreciate the power and the thought of this excellent pre-workout product. If you are a novice amateur - can be done on 1.M.R Vortex "workout of your life", but pay attention to dose (suggested is to start adventure with the supplement since the mid-portion suggested). 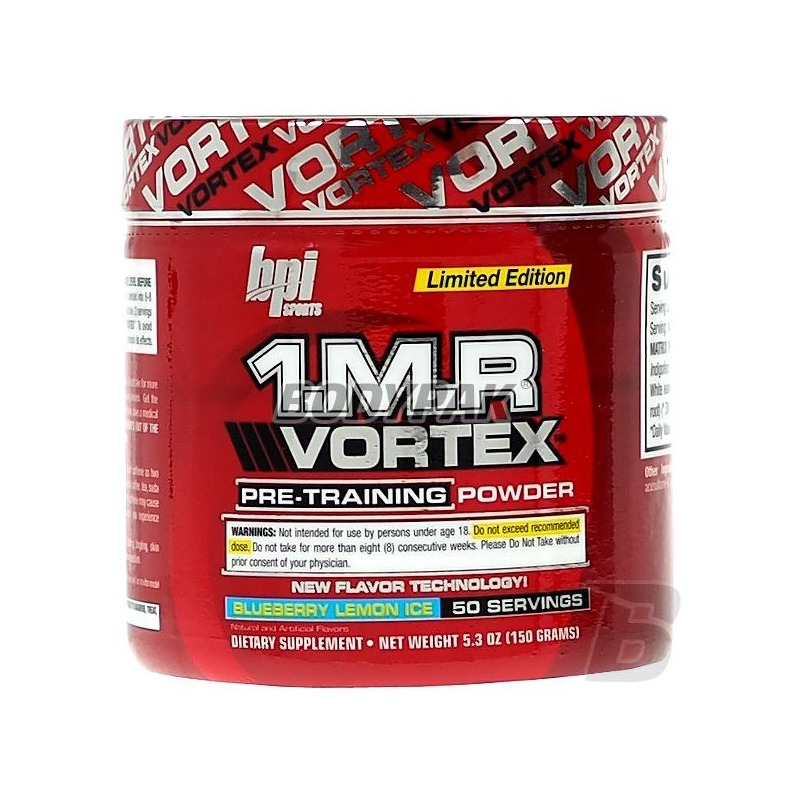 BPI 1.M.R Vortex was created specially for you, forget about previous failed training and go to a higher level of initiation. Your gains and strength will increase like crazy to the point that you will not be able to understand! It is the ideal product for every type of sport which I enjoy, after fitting an aliquot feel "what it means to power." These are not empty words - the product just works like it should! STRENGTH, POWER, MASS, ENDURANCE - ALL THIS AND MORE WITH 1.M.R VORTEX! Glycerol (glycerol monostearate), Indigofera pulchra (part above ground), Caffeine (caffeine anhydrous), White leadwort (root), Securinega (Securinega suffruticosa) (leaves and roots). Other ingredients: maltodextrin, natural and artificial flavors, citric acid, sucralose, acesulfame K, malic acid, Brilliant Blue FCF. Jedna miarka troche mało, przy dwóch czułem działanie, a przy trzech dosłownie wywaliło mnie z butów ! Ultra-concentrated pre-workout formula for professionals. The preparation exhibits strong anabolic and helps you get hard and inflated muscles during ćwiczeń.Najlepszy product on the market! Latest extremely effective formula PRE, through which you will understand what it means expander energy and real pump training - even exceed his limits! Activlab Machine Man Pre Workout - 120 kaps. Amix CellZoom Hardcor Activator is a concentrated pre-workout supplement designed specifically for athletes and bodybuilders who want to increase muscle pump during training, the level of energy, strength and improve muskularyzację.